This is Nora. Her parents recently taught her to roll dice. 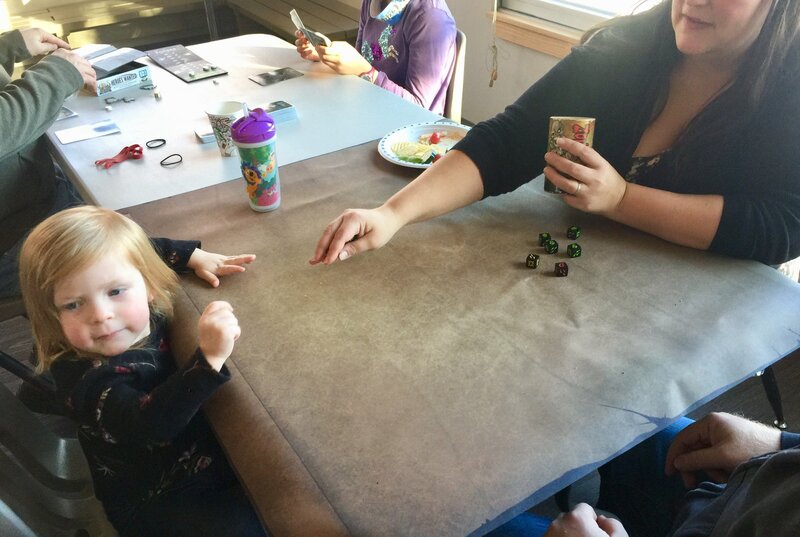 Now she’s rolling the dice for them as they play Zombie Dice. It makes me proud that RickFest fosters such exemplary parenting skills.